Looking at the cute and cheeky little face of Blake you wouldn't believe how bad Blake's tantrums have been recently. Since he was about 18 months Blake has had the start of the "Terrible Two's" and since then they have gradually got much worse. 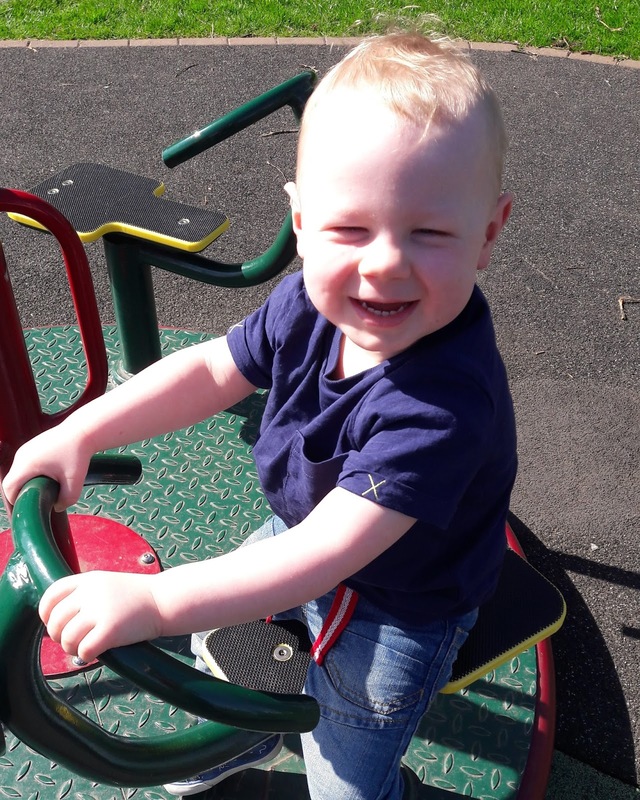 In front of others Blake is the dream child he has no tantrums, very rarely cries or hits. In fact he is rather shy and very clingy towards me when we go to groups and takes awhile for him to join in. At home is a different kettle of fish he is stroppy, demanding and from time to time I describe him when talking to Stuart as a little brat. He will start throwing objects, once he is told not to, we get the hitting his head on the wall followed by the laying on the floor kicking and screaming. When he is asked not to do something or wants something and we don't understand him we will get the smacking, headbutting, crying, screaming. He's starting testing his boundaries too, just the other day I was asking him not to eat with his feet up on the table which resulted in the smacking me around the face and finding it hilarious. We are starting to have to give him consequences to his actions and I think we are going to have to start using the thinking corner. On the flip side he is loving be praised for doing something good such as putting himself down for a nap, listening to us for example I asked him to shut the bathroom door the other day and he did it so we clapped and told him well done for listening. Other behavior we are dealing with at the moment is the refusal to nap and to stay in bed at night. We have had to pick him up and put him back into bed so many times kicking and screaming however we are lucky that this hasn't happened every night. He does know he needs to stay in bed he just doesn't want to. He will also throw strops when it comes to not having the same foods every day and trying to get him to try something different. This then results in being woken at silly o clock as he is hungry.The joys of a fussy eater! Blake is behind in his speech and so its tough when it comes to also understanding him as he gets so frustrated at not being able to communicate what he wants. I can honestly say this is jus a faze and a short lived one. I am now in the threenager stage, god help me lol! Oh, how I remember that age. It is definitely challenging. I have teens now, which presents it's own issues but two had its ups and downs. Good luck with 3! Wow, he looks so cute but it sounds like he can be a mischievous little guy! He is incredibly cute. I have no children yet but I'm aware of the terrible twos with my nieces and nephews. My niece whine and threw tantrums and what I'd do is stare her in the eye and tell her she DOESN'T have to do that. I remind her that she can ask for what she wants in a calm manner. I will keep staring at her straight in the eye until she stops and it works. I feel you need to really let him know that he needs to listen to his parents. He's such a sweetie, I'm sure he'll grow out of this stage soon. I can imagine it being frustrating for both of you - him for not being able to communicate and for you all just for him being testy all the time! Hopefully things start to get better. Have you thought of trying to teach him some sign language? Positive reinforcement, baby! It works for people and animals of all ages and sizes. He's adorable. I definitely agree with giving consequences for their actions, even if it is just something small. He'll be understanding more than he lets on so its good to get in the habit - works with my two anyway! Just wait until they turn three! My daughter is a nightmare and I thought we managed quite well with the twos. 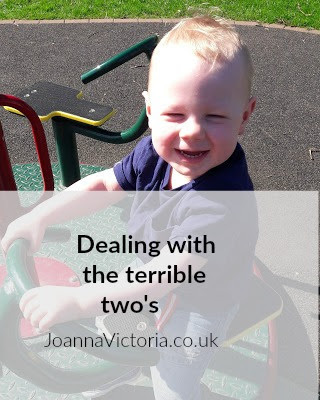 My son is 21 months and he is so stroppy! I really do think the lack of speech plays a huge role in their tantrums. It is definitely challenging at the age of 2 or so but he is very cute. You have a very adorable child. Giving them consequences for their actions is a way of discipline. It's good we discipline our child/children in their early stage. I can relate. My kids are 3 and we are still dealing with the horrible tantrums. Hopefully he'll pick up speaking properly soon and you'll be able to communicate better! I am quite lucky I didn't have to deal with too much at this stage, but when bad behaviour did come about consequences was the way to do. It's weird isn't it, how good they are for everybody else but not for us parents.